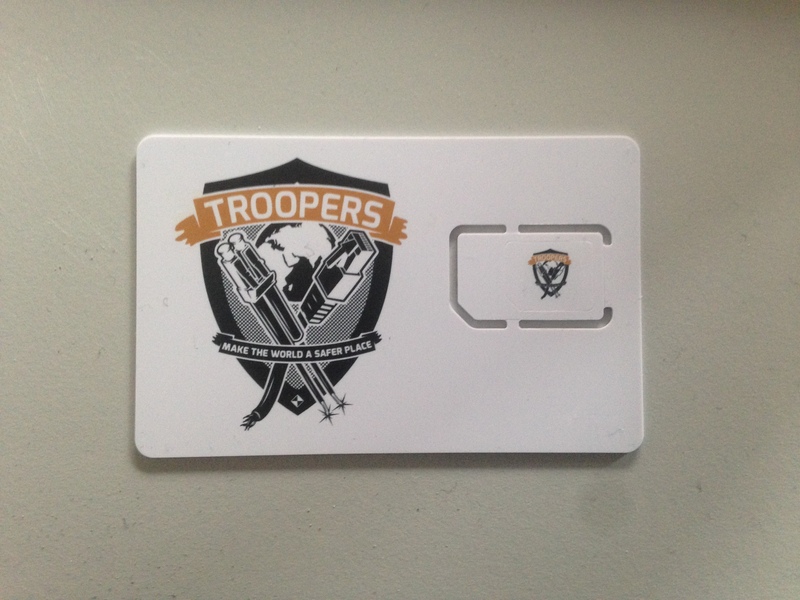 Additionally to Wifi, Troopers is also offering a GSM network. If you want to use it, simply ask your phone to scan for available mobile networks. There you should see the usual T-Mobile D, Vodafone.de, E-Plus, O2-de operators, but also the unusual D 23 or 262 23. Just select this one, and your are done. You also can use the Troopers SIMs which you get on the welcome desk on the ground floor. But keep in mind that this is a private network, not connected to the outside would. You can only reach other people within this network, for free and unencrypted. To know your phone number, dial *#100#. To get a number of your choice, send an SMS to 1337. Two base stations are installed within the building and will cover the whole conference. To operate them we use the osmocom openBSC software. If you want more details or to play with it, contact 1337. Thanks to Kevin Redon for helping setting it up & enjoy Troopers! P.S. : Some newer phones might not work with Troopers SIM cards.